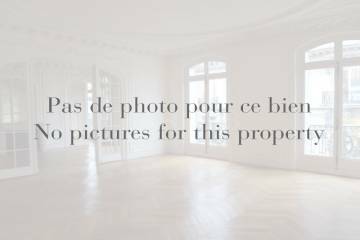 Luxury real estate in Montreal! From family houses to high-end cottages and apartments, BARNES is presenting the luxury properties on the market in Quebec! Discover our selection of exceptional properties to live a life of prestige and excellence in Montreal. Revel in the luxury of its most charming districts, including Westmount, Outremont, Plateau Mont-Royal, Griffintown, and Old Montreal, as well as Côte-Saint Luc, Le Sud-Ouest, and Mascouche. Although many flock here for its history and cultural wealth, Montreal is also surprisingly modern. It is home to a large number of green spaces as well as art and cultural venues, like Montréal Archaeology and History Complex, the Biodôme, and the Lachine Museum. Not to mention the friendly and trendy atmosphere of its upmarket shops and restaurants, like those found on Plaza St-Hubert, in the Village, and on Avenue Laurier Ouest. BARNES has a portfolio of properties in these superb regions that represent the quintessence of elegance, sophistication and good taste. Our wide selection of light-filled apartments come with a terrace and stunning views over the entire city, Lake Saint-Louis and Saint Lawrence River Not forgetting our selection of cosy houses with character, featuring luxurious bedrooms, spacious rooms, a wine cellar and a garden. Discover the most prestigious properties in Canada and the Montreal area with BARNES Québec.